Train the Coaches Day a Big Success! 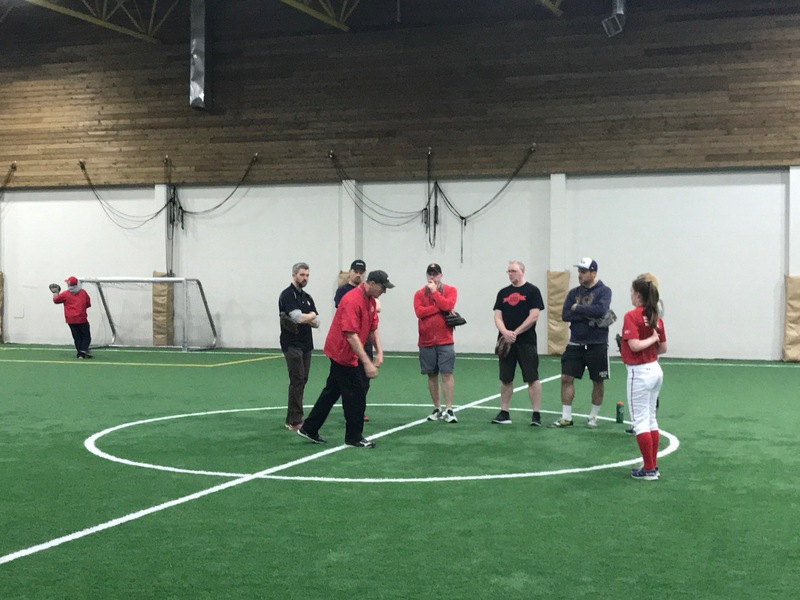 On Sunday, April 23rd, the Victoria Fastball Club (Devils) in association with SVI, hosted a Coaches Day half day clinic at Oak Bay Recreation Indoor Sports Field. There were 35 community coaches in attendance from Associations across Vancouver Island. Coaches ranged from those working with Learn to Play, all the way up to U18 categories. The coaches were put into groups aligned with their working age group and went through a broad range of skill development stations including Throwing, Fielding, Catching, Hitting, and Pitching. The stations were led by VFC coaches and the 2001 Devils players assisting in demonstrating technique and skills that were being overviewed. 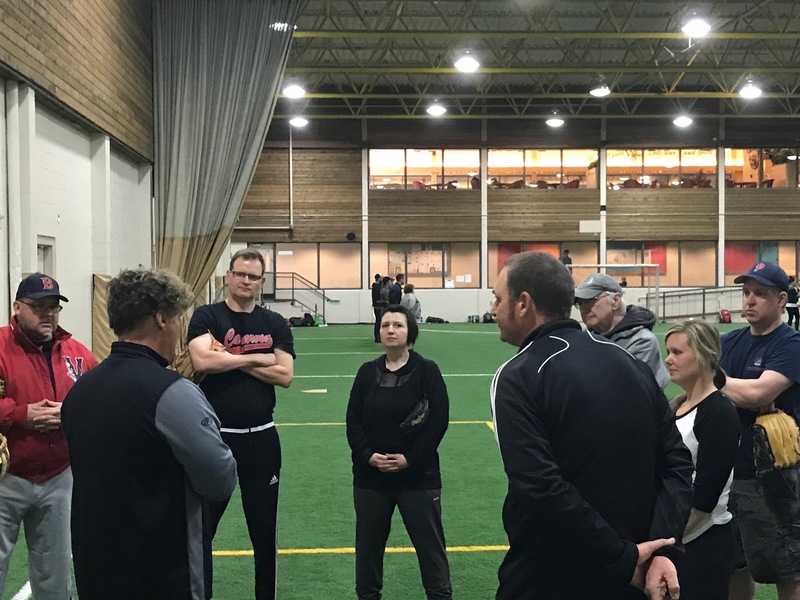 Following the on-field instruction, many of the attendees participated in an optional roundtable Q&A session hosted by the VFC coaches where the community coaches asked insightful questions about a wide range of aspects around coaching strategies, focus, development, etc. VFC and SVI consider the event a huge success and will begin planning the same style event for next season in the coming months. A big thank you to the VFC for sharing the expertise with the broader softball community! Previous Previous post: Coaches Training Day – Venue Change!